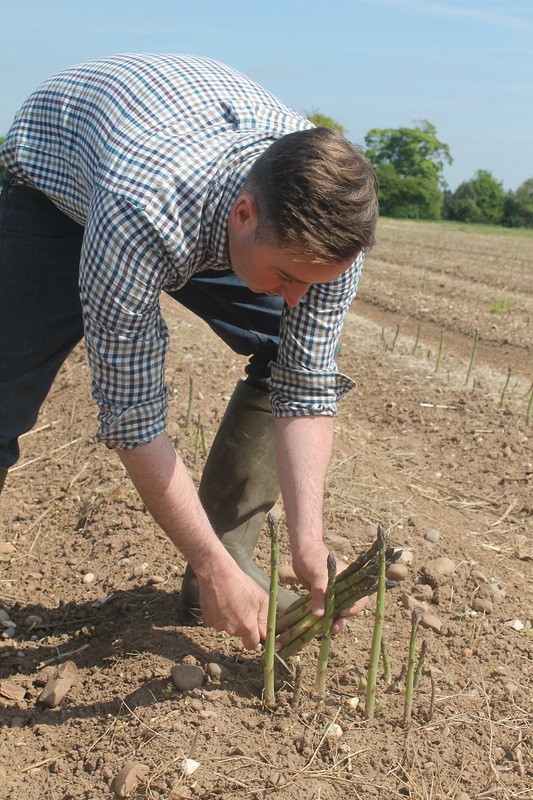 I’ve just spent a great morning out at Cattows Farm near Heather in North West Leicestershire with farmer James Ludlam as he brings in the asparagus. 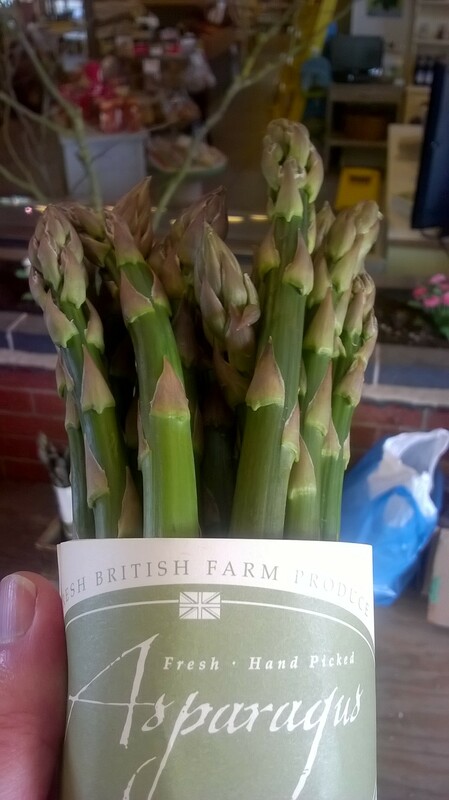 This quintessential early summer crop has become increasingly popular as people discover the joys of seasonal eating and Cattows Farm is one of the very few places in Leicestershire where you can buy it at the farm door thanks to their splendid farm shop. 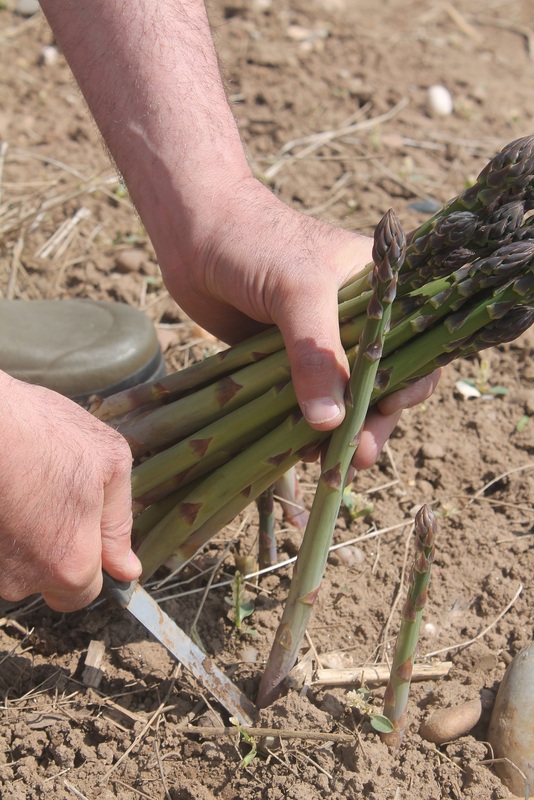 This 300 acre mixed farm now has four acres given over to asparagus and for six or seven week from the beginning of May it is a useful, labour intensive but high value crop for them. It also helps bring in the public in advance of the soft fruit PYO season in June. 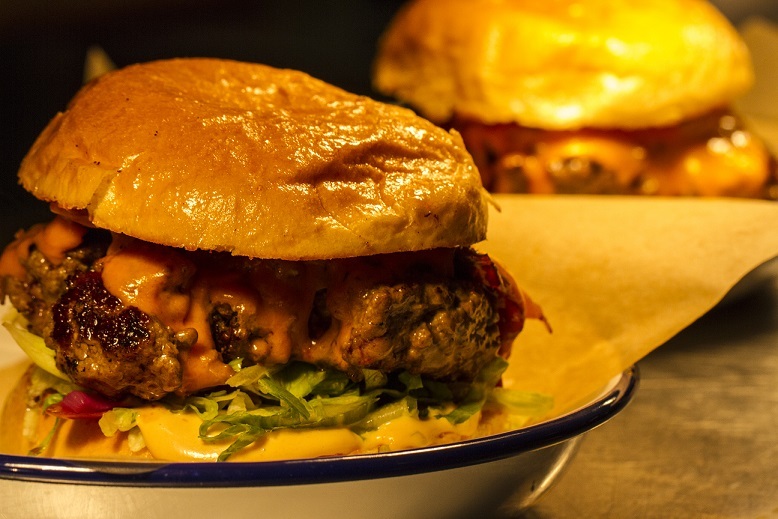 The majority of is either sold direct at the farm or used at their popular café – indeed tomorrow (Saturday 16th) they are even doing an eight course tasting menu featuring the likes of asparagus pate, pork and asparagus wellington, asparagus risotto and even coffee with candied asparagus. One or two local greengrocers and restaurants also take it but, said James, they have steered clear of the wholesale market and unrealistic demands of supermarkets. It was great to see such great quality English food being grown, harvested and sold on site and marketed with flair and integrity. Even the trimmings are used as feed for their herd of Herford/South Devon crosses.